International Relations theory has been the site of intense debate in recent years. A decade ago it was still possible to divide the field between three main perspectives ? Realism, Liberalism, and Marxism. Not only have these approaches evolved in new directions, they have been joined by a number of new ?isms? vying for attention, including feminism and constructivism. 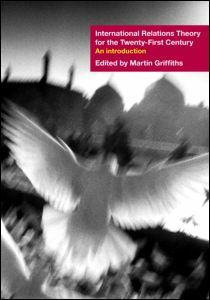 International Relations Theory for the Twenty-First Century is the first comprehensive textbook to provide an overview of all the most important theories within international relations. Written by an international team of experts in the field, the book covers both traditional approaches, such as realism and liberal internationalism, as well as new developments such as constructivism, poststructuralism and postcolonialism. The book?s comprehensive coverage of IR theory makes it the ideal textbook for teachers and students who want an up-to-date survey of the rich variety of theoretical work and for readers with no priorexposure to the subject.